The alarm has sounded on ocean plastic. Companies are waking up to intense public pressure to take action. Newsfeeds are filled with images of oceans, marine life and coastlines suffocated by plastic pollution. Some 27,000 tons of plastics enter the ocean – every. single. day1. That’s equivalent to almost 10 million tons per year! It’s also expensive. The cost of marine plastic pollution for the consumer goods industry alone is estimated to be at least $13bn per year2. Plastic is everywhere – it’s a visible and tangible reminder of human impact on the environment. Without significant action, there will be more plastic by weight in the ocean than fish by 2050. It’s time to stop hitting snooze and close the negative plastic tap. When are plastics beneficial or harmful to use? Reliable data and methodology will deliver the answers. The key to closing the plastics loop is to effectively assess the negative impacts on the environment. Plastic bans are often enacted without assessing the benefits or consequences of use or material replacement. Plastics provide benefits to society through versatility, durability, malleability, light weight and low cost. Plastics can offer a lower environmental impact, at least related to carbon footprint, than comparable materials. Drawbacks are specific to the use, formulation, and after-use management: plastic pollution, potential toxic chemical additives, and finite recyclability. The solution is to understand how to design, manage and use plastic or alternatives based on credible data and criteria. Metrics will help inform these decisions. Plastic pollution and toxic chemicals leak into the environment causing largely unknown consequences to marine and human life. Plastic enters oceans from different sources and pathways, for example in the form of plastic waste or microplastics released from synthetic clothing while washing. Large macroplastic can cause injury, entanglement, ingestion or suffocation of marine wildlife and can lead to economic drawbacks for tourism and maritime industries. Macroplastic problems are often more pronounced in developing coastal countries. Microplastics, on the other hand, have more subtle routes to marine environments than macroplastic, for example from cosmetics, washing synthetic clothes, and from tire wear. In countries with more advanced solid waste management systems, microplastics are a greater source of ocean plastic pollution than macroplastics. Released through road run-off or household wastewater, they can pass through treatment systems and end up in the sea. A study has predicted that an average European consumer would consume 11,000 pieces of microplastic through seafood per year3. Although the effects of this on human health, as well as on marine life, are largely unknown, microplastic contamination has emerged as a major perturbation of the natural world. The status quo is trying to tackle the problem in a siloed and emotional manner. For example, collecting plastics from the sea to make products may be a great way to raise awareness but is not a solution to the root cause of the problem. Current studies clearly demonstrate marine plastic sources and solutions differ from country to country and from sector to sector. Many international organizations are concerned and beginning to take action, including the World Business Council for Sustainable Development (WBCSD), the International Union for Conservation of Nature (IUCN), the world’s largest environmental NGO, as well as the United Nations (UN) with an Ocean Conference and a New UN Resolution signed in Dec 2017 in Nairobi by 200 countries. The same goes for companies. Businesses and brands are seeking to implement a variety of viable and meaningful actions to address their plastic impact. Although solutions to the plastics problem may vary, the approach and the facts guiding decision-making must be consistent and evidence based. We must assess solutions on a case-by-case basis and consider the trade-offs in a transparent and harmonized way. Although the impacts of plastics in the environment are still being elucidated, it is clear that the release of plastics to the environment demonstrates an efficiency and a systematic failure to work towards a zero-waste, non-toxic, circular economy. Circular economy is a major component to the European Union’s new plastic strategy. Life Cycle Assessment (LCA) is a quantitative sustainability assessment method considering the “life cycle” of consumer products and services. It doesn’t have to be an either/or decision. LCA looks at the entire life cycle of a product and can help decision-makers work towards a circular economy in ways that do not cause unintended consequences, and that consider a variety of environmental indicators. To date, however, methods to quantify flows of plastics from consumer product and service systems to the environment are lacking. Thus we need to act now to complement existing LCA methods to ensure we move towards circular economy goals in ways that protect the environment and human health in both the short- and long-term. To continue to tackle our urgent environmental challenges, we need to adapt our tools and methods accordingly and not be confined by status quo methods. This is certainly the case with the emerging problem of marine plastic pollution. The process and need is similar to those behind the development of other new LCA methods, like water footprinting and land use change accounting. Quantis is partnering with renowned expert in the field Julien Boucher, of consultancy Shaping Environmental Actions (EA) to bridge the research gap and build on the best available science and life cycle thinking to complement existing LCA methods to work towards closing the plastic loop. On one hand, resources and time will be needed to build consistent and evidence-based methods. On the other hand, businesses need to know what they can do now to address ocean plastic pollution. They need to anticipate and manage risks. They need to make sound, effective, fact-based decisions. “At Quantis we are currently trying to balance these two sometimes opposing realities to find solutions. 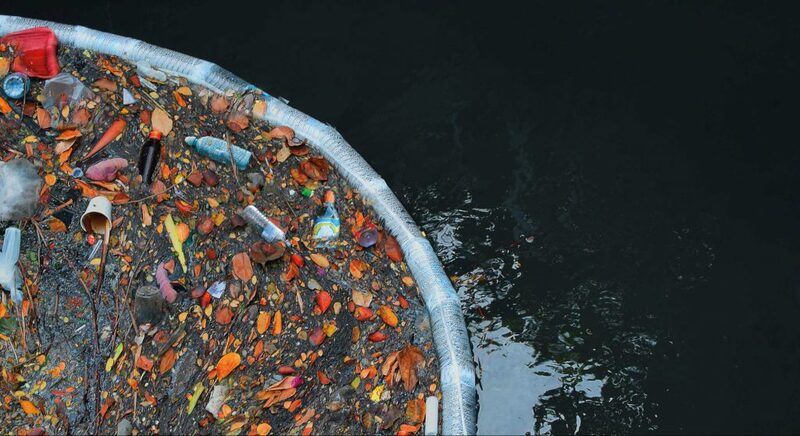 Collectively, experts need to work together to integrate the impacts of plastic pollution into the LCA framework and develop methods that can help guide decision-making,” Quantis senior sustainability consultant Carole Dubois explains. + Close the plastic loop by developing methodological solutions to guide decision-making. Join plastic pollution experts at Quantis and EA, who are teaming up with other key industry stakeholders, to explore solutions that will help us collectively close the plastic loop. 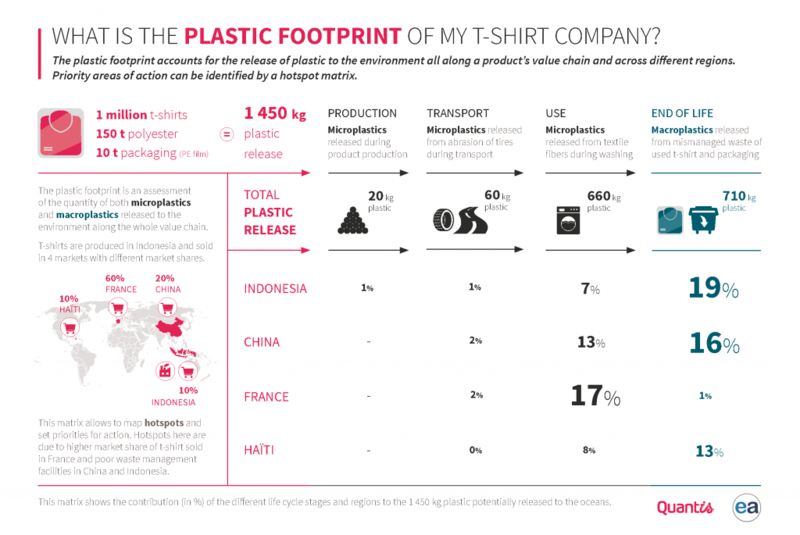 To learn more about how we will address plastic footprinting, please contact Quantis senior sustainability consultant Carole Dubois at carole.dubois@quantis-intl.com.